Why Choose Around the World Beauty for Your Global Travel Adventure? Making the decision to invest in your personal growth and travel somewhere new is easy. But deciding who to travel with is much more difficult. In an saturated market, it’s hard to cut through the fog of endless choice to find what option is best for you. 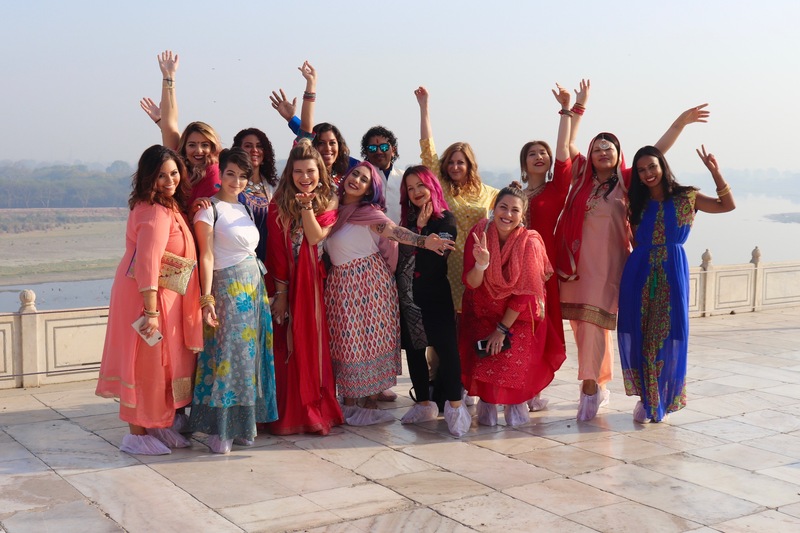 At Around the World Beauty, we’re so proud of our Beauty Journeys being and the amazing women who explore the world with us on a global travel adventure. You may be on the fence about whether to join us for your next trip of self-discovery. So here are some of the (many) qualities that set us apart from the rest of the industry. Our fearless founder, Stephanie Flor, has worked in the beauty industry her whole life, and has been exploring the world for almost as long. 3o countries before 30 and counting! In her career and travels, she’s been everywhere from private jets high in the sky to sleeping under the stars while backpacking. She prides herself on going to these countries and doing the research to make our experiences as meaningful and authentic as possible. All of our Beauty Journeys have been curated by Stephanie with love to create a culture of acceptance and a space for emotional impact. Having worked in the beauty industry for so long, Stephanie wanted to create something special. Global beauty adventures that focused on not only outer beauty, but the enrichment of the person as a whole. You’ll feel the influence of her vision in every aspect of the trip. We are well-rounded and diverse, so our trips reflect our lifestyle philosophy. Lovers of yoga and clean eating as much as we love tiramisu and a good glass of wine. 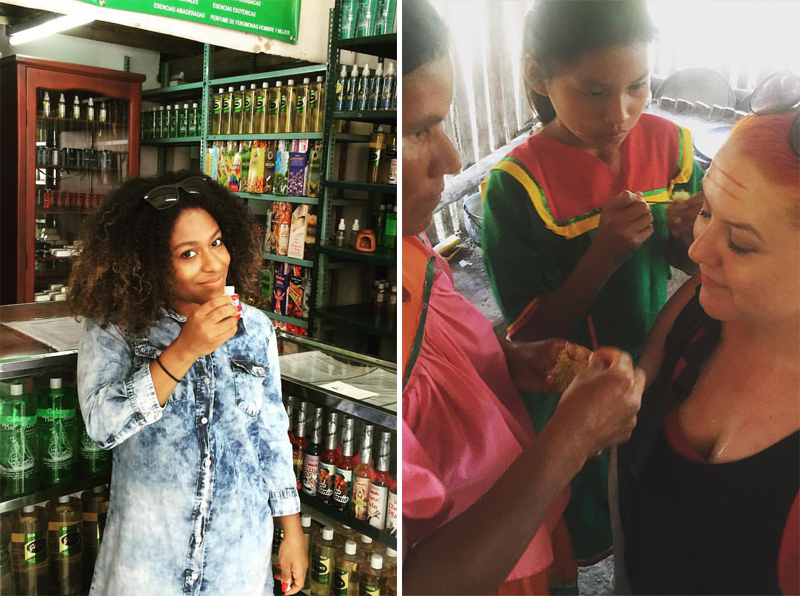 We love luxurious massages and glamorous beauty products as well as authentic, off-the-beaten path experiences with the locals. These kinds of experiences aren’t limited so you can have on one of our journeys. Limiting our guests just is not who we are. You get a balance between the fun and indulgent beauty experiences, and the challenging and eye-opening travel experiences. These aren’t just retreats for the wellness girl, the cool-girl, the beauty lover, or the adventurer. They’re trips for the woman that has a little bit of all these passions, and is open-minded and willing to explore. On every trip, we have a Beauty Giving Back Day to contribute something meaningful to local women. We particularly focus on giving back to women because they are the caretakers for all the ancient beauty secrets we explore. In all of these countries, women have been keeping their communities running and honoring beauty traditions for hundreds, if not thousands, of years, and we like to honor that. 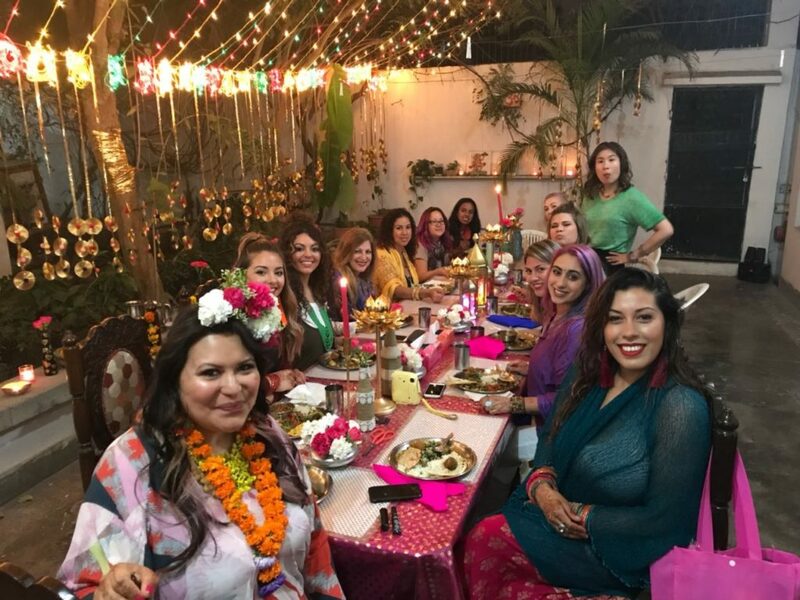 On our recent trip in India, we had the honor of visiting a special cafe to hear stories of pain and perseverance from survivors of acid attacks. After wards, we visited an orphanage and gave the children flower crowns that we made by hand, and polished their nails. It was a small gesture for those who have endured so much, but is was our way of putting some good karma back into the country and women that had welcomed us with open arms. On our journeys, we focus on the three facets of beauty: inner beauty, outer beauty, and the Ethos. We strongly believe that beauty is not just skin deep; true beauty is when someone is at peace with themselves, their environment, and their spirit. 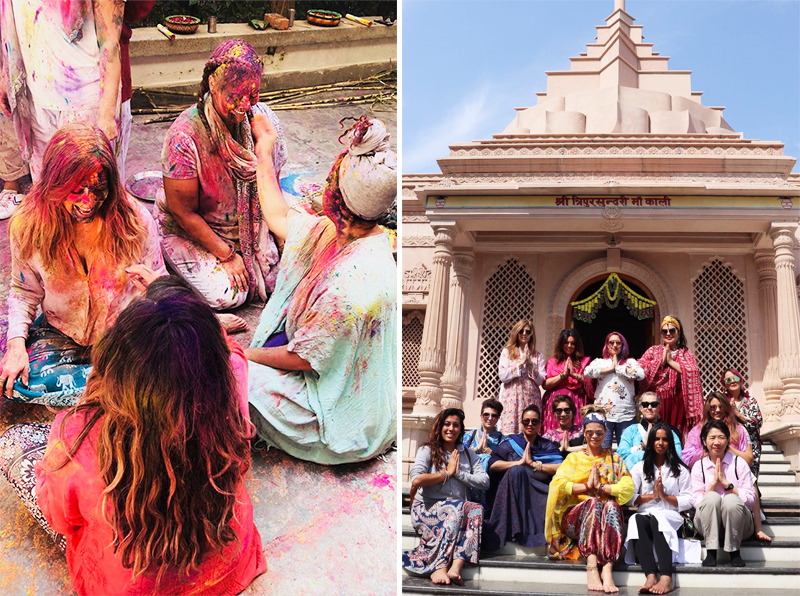 To nourish inner beauty, we take time for our travelers to focus on themselves, to channel their emotions through journaling, and to reflect on what they’ve experienced. 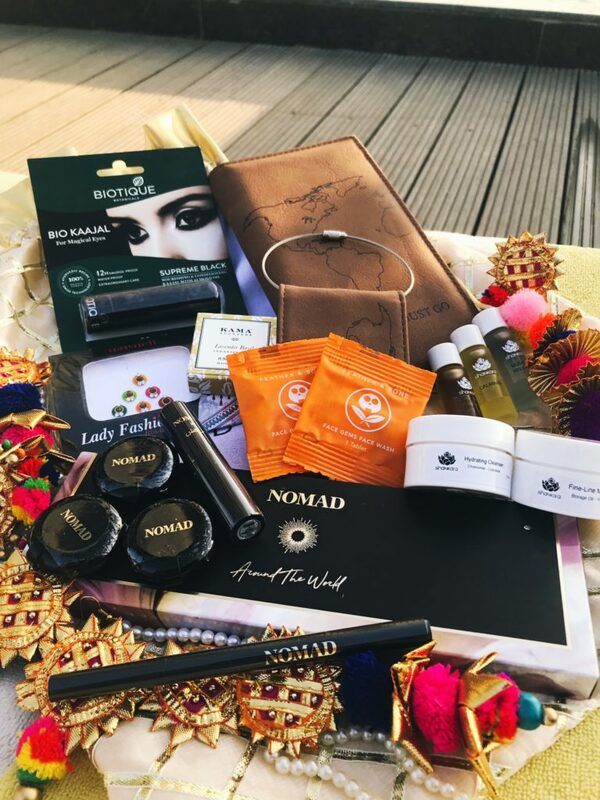 To pamper outer beauty, we give our ladies a wonderful swag bag! They are full of meaningful products that tie into the destination, explore regional beauty products, and experience the luxurious beauty rituals of these amazing countries. To connect with our Ethos, we meditate and focus on awareness for the moment; to appreciate that we’re in this wonderful new place and culture, and expanding out ideas and consciousness. Get your travel bag ready! 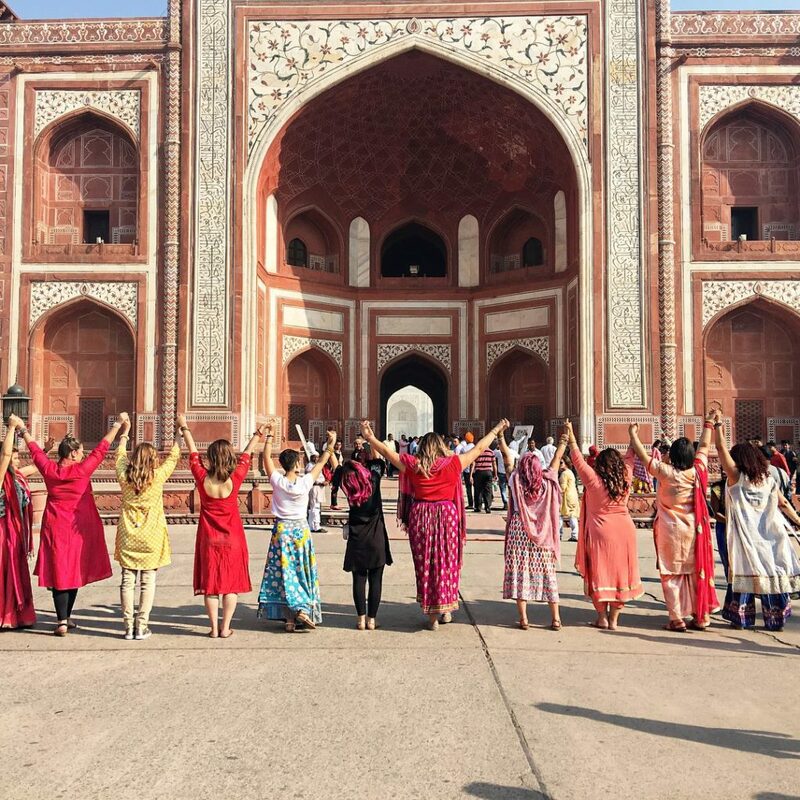 If you’re ready for the adventure of a lifetime that will challenge you, support you, and change you forever, we hope you’ll consider traveling with Around the World Beauty. 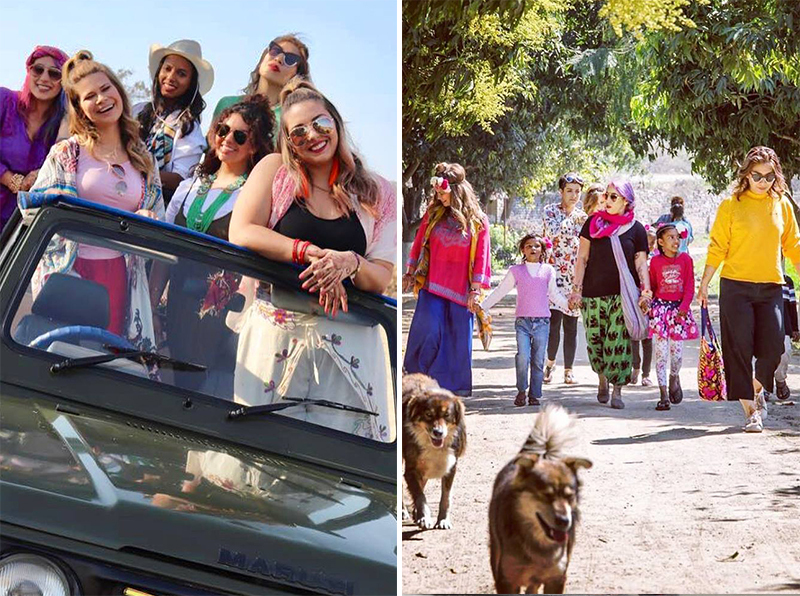 If you’re still curious about our beauty journeys, or want to go ahead and book an upcoming global travel adventure, get in touch with us today! We hope you’re inspired to take a leap to faith to enrich your life with one of our trips. Our last day after traveling India for 14 days! United as one in beauty! Disclosure: Please note that some of the links above may be affiliate links, and at no additional cost to you, I earn a commission if you make a purchase. I recommend only products and companies we love and support. We use the extra income to grow the site and pay our awesome writers to spread global beauty, and their favorite beauty destinations around the world. You help us keep our beauty tribe supported and ad-free.